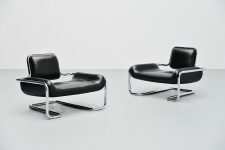 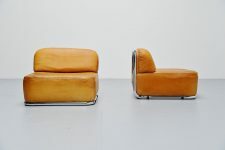 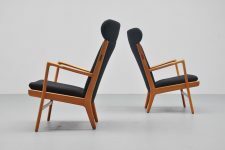 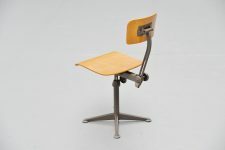 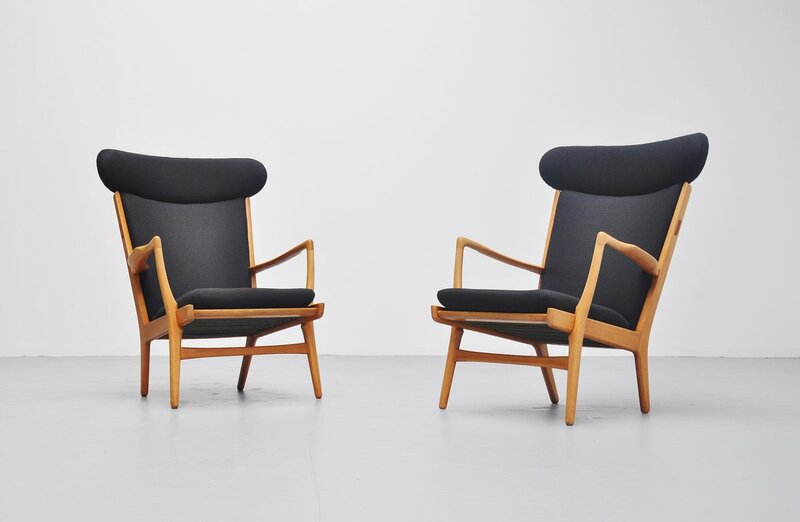 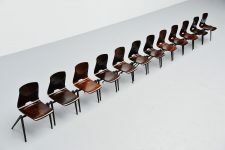 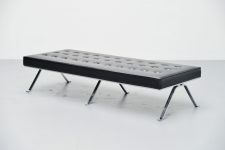 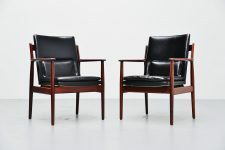 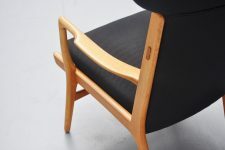 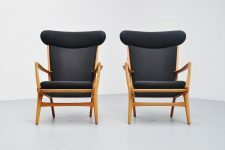 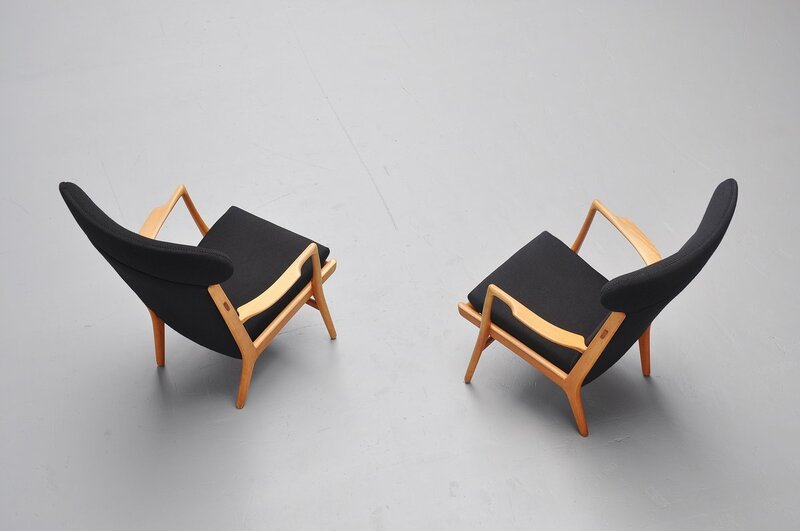 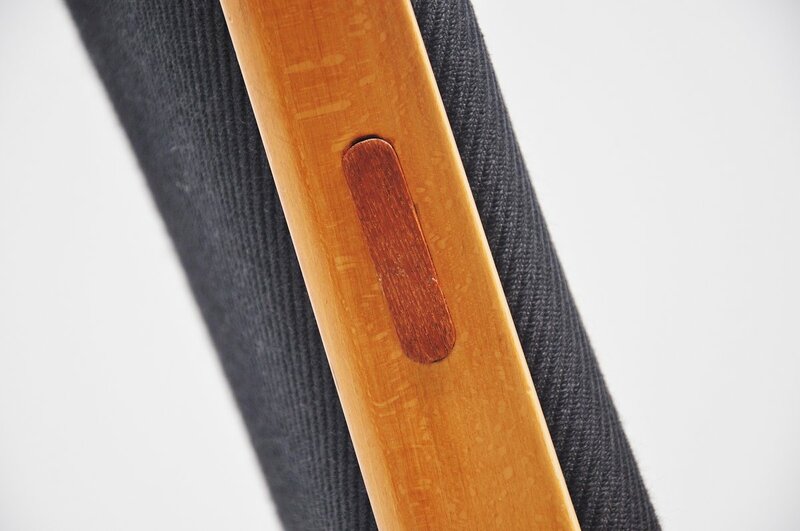 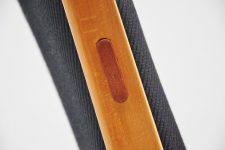 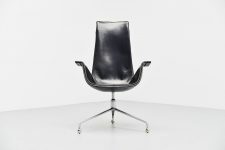 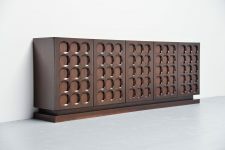 Very nice pair of wingback lounge chairs model AP-15 designed by Hans J. Wegner for AP Stolen, Denmark 1951. 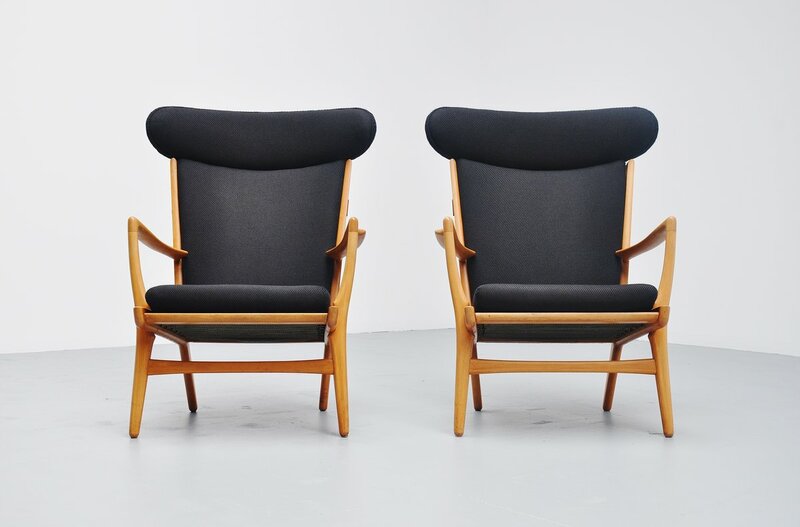 Nice high back lounge chairs for comfortable seating, solid oak frames in excellent condition with black fabric, professionally upholstered in the 1980s but still in good condition. 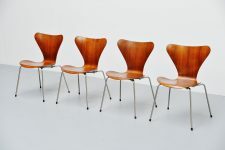 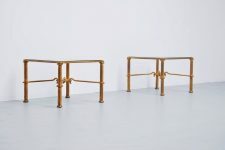 Very nice shaped chairs with some very nice details on the side.